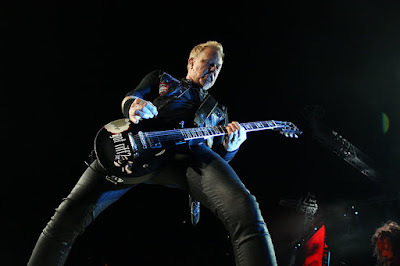 Metallica are sharing professional video of their “Hardwired…To Self-Destruct” track, “Halo On Fire”, as performed at MetLife Stadium in East Rutherford, NJ on May 14. The black and white footage from the third show of the band’s North American tour followed the song’s US live debut during opening night in Baltimore, MD on May 10. Metallica’s tenth album recently achieved platinum status in the US for sales of 1 million copies. “Some of the songs from the new record are a little more physical. It's gonna be a lot of fun to play this. Also, some of these songs are a little shorter than the ones on Death Magnetic. I think it's gonna be a lot of fun to throw many of these songs in, but we'll change the setlist every night like we always do."